I have put together this list of seed catalog order links. Just click the link and it will bring you to the catalog request page. Some catalogs are online only or downloadable and I have listed those at the bottom of the list. More and more seed companies are no longer printing catalogs and going online only. I prefer the paper kind that I can bring with me anywhere. If you use a program like Roboform that automatically fills in your information, you can get loads of catalogs without much typing. The companies update their websites every now and then and the links may lead to a dead end. If any links here fail, please let me know and I will update. Annie's Heirloom Seeds - Annie's sells old-fashioned heirloom vegetable seeds of all kinds, as well as organic gardening supplies, books, and gifts for gardeners. Baker Creek Heirloom Seeds - Buy Heirloom Garden Seeds. Vegetables, Flowers, Herbs! All Non-Hybrid,Non-GMO Seeds! We offer Free Heirloom Seed Catalog and have retail seed stores for bulk seeds. Bluestone Perrenials - Offers a selection of perennials, plants, herbs, ornamental shrubs and bulbs. Option to search by growing zone. Botanical Interests - Botanical Interests offers over 500 varieties of vegetable seeds, herb seeds, and flower seeds. We have a large selection of heirloom seeds, organic seeds and offer a free copy of our seed catalog. Bountiful Gardens Seeds - Heirloom Vegetable Seeds ─ Heirloom Flowers and Grains─ Medicinal Herb Seeds ─ Culinary Herb Seeds—Rare Seeds─ Compost and Cover Crop Seeds for Soil-Building─ Tree Seeds and Berry Seeds for Permaculture/Shelterbelts─ Tools, Supplies, Books, and DVDs for Organic Gardening . Brent And Becky's Bulbs - Virginia based growers and sellers of popular and uncommon bulbs. Burgess Seed And Plant Co. -seeds, bulbs, perennials and ornamentals to make your yard and garden more beautiful. .
Burnt Ridge Nusery - Our mail order nursery specializes in unusual and disease resistant trees, vines, and shrubs that produce edible nuts or fruits. We also have a large selection of Northwest native plants and ornamental and useful landscape trees. Burpee Seeds - Seeds, plants and gardening supplies for home gardens - Large, exclusive selection: Heirloom and organic seeds and plants. Vegetable, flower, herb, fruit, perennials, annuals. Comstock Garden Seeds - Comstock Garden Seeds, Heirloom Garden Seeds from New England's Oldest Seed Company! free seed catalog or visit or retail seed store. Fedco Co-op Seeds - A cooperative seed and garden supply company. Its divisions, Fedco Seeds, Organic Growers Supply, Fedco Trees, Moose Tubers, and Fedco Bulbs. Field And Forest Products - A family-owned source for specialty organic mushroom spawn and cultivation supplies since 1983, featuring species hand-picked for their marketplace. Fungi Perfecti - Fungi Perfecti is a Certified Organic company specializing in gourmet and medicinal mushrooms and mushroom-related products. Gardens Alive! - Environmentally Responsible Products that Work. Keep healthy lawn, soil, plants, animals and home. These guys always have coupon codes so search for one before buying on google. Gardeners Supply Company - Gardener's Supply Company - Garden Supplies and Tools on Sale for a Limited Time Only! Compost Bins, Hoses, Vegetable Supports, Tomato Cages and More! Gilbert H. Wild & Son - dahlias, iris, lily bulbs, perennials, and peonies plants. Gurney's Seed and Nursery - Gurney’s specializes in vegetable seeds and garden seeds, nursery plants, fruit trees, shrubs online, garden plants, fertilizers and plant foods. Harris Seeds - Broad selection of vegetable seeds, perennial and annual flower seeds, plants, and bulbs and accessories. Heritage Harvest Seed - Specializing in rare and endangered varieties, located in Canada. Henry Field's - shrubs, seed starter, mail order plants, potato, vegetable seeds, flower bulbs, tomato seed, apple trees, garlic, perennial plants, onion sets, tulip bulbs, fruit tree, seed catalogs, seed starting kits, daylily, strawberry plants. High Mowing Organic Seeds - 100% organic flower, herb, and vegetable seeds many of which are geared towards cooler climates as they're based in Vermont. They have a breeding and production farm where they produce new varieties and other highly selected varieties. They've got alot of great gardening resources on their website and in their newsletter. Horizon Herbs - Organic growers of medicinal herb seeds, medicinal herb plants, organic vegetable seeds and organic garden seeds. HPS Seed - This company seems to be the parent company of many listed here located in Randolph, Wisconsin. The have bought out many smaller companies. A catalog worth getting. Hydro-Gardens - Seeds, hydroponics including hydroponics greenhouse, hydroponics gardening supplies, and hydroponics garden supplies. Jackson And Perkins - Wide variety of garden plants, rose bushes, and garden-inspired gifts. Johnny's Selected Seeds - Johnny's specializes in short-season crops, it also offers a nice selection of heirloom seeds. Jung Seed Company - As a century old seed company, we know that providing a quality product is important to farmers. This is even more important as a regional brand located in the colder climates of the north. Michigan Bulb Company - Offers trees, shrubs, vines, perennials, bulbs, herbs, fruits, and vegetables. Includes plant selection tools. Nichols Garden Nursery - Fine Seeds & Herbs for the Gardener Cook. Park Seed Company - Vegetable Seeds, Flower Seeds, Plants, Bulbs, Trees and Gardening Supplies. Pinetree Garden Seeds - Garden seeds and plants for all gardeners. Large selections of vegetables perennials annuals herbs bulbs tools books and more. Potato Garden - Garden size and farm size quantities of Colorado Certified Seed Potatoes. This is the place for gardeners, farmers, hobbyists, and anyone interested in potatoes. We also carry Planting Garlic, Jerusalem Artichokes, Onions, Shallots, and Real Salt. R. H. Shumway's - Many heirloom seeds, although the catalog does not always identify them as such. Redwood City Seed Company - Hot Peppers, Heirloom Vegetables, and Herbs. Richters Herbs - 1000 varieties of culinary, medicinal and aromatic herbs. Plants, seeds, dried herbs, books, videos, software, seminars, workshops, conferences. Sand Hill Preservation Center - They sell seeds of about 350 different tomatoes including red, orange, white, yellow, purple, green, paste, winter-keepers. They also offer more than 50 different sweet potatoes. In addition to these in-depth collections, they also have nice selections of corn, melons, peppers, squash, and other hot weather crops for sale. Seed Savers Exchange - Seed Savers Exchange is a non-profit organization dedicated to saving and sharing heirloom seeds. Since 1975, our members have been passing on our garden heritage by collecting and distributing thousands of samples of rare garden seeds to other gardeners. Seeds Of Change - Offering over 1200 certified organic seed varieties for the home gardener and market-grower. Southern Exposure Seed Company - Offering more than 500 varieties of heirloom vegetables, herbs, flowers, and other seeds, Southern Exposure has an impressive assortment of heirloom tomatoes, plus many other choice varieties. The catalog includes lots of historical information. Stokes Seeds - North American distributor of flower, vegetable, herb and perennial seeds to commercial growers and home gardeners. The Thomas Jefferson Center for Historic Plants - Jefferson's beloved gardens have been carefully restored and planted with the vegetables, herbs, and flowers he knew. Their 32-page catalog (illustrated with vintage woodcuts) is chock-full of history and lists an impressive collection of heirlooms. Territorial Seed Company - Vegetable seed, flower seed & herb seeds for sale. Buy live plants at Territorial Seed Company. Thompson & Morgan - Premium Supplier Of Flower & Vegetable Seed. Tomato Growers Supply - Sells a range of different coloured tomatoes and peppers. Totally Tomatoes - Specializing in tomato seeds but they also carry a variety of other seeds as well. Urban Farmer - Urban Farmer Seeds & Plants | Vegetable, Herb, Flower, Bulbs, Gardening Supplies, Organic, Heirloom. Vermont Bean Seed Company - Huge assortment of vintage beans, this seed company offers a good selection of other vegetables. Some are heirlooms, but not all of them are labeled as such. White Flower Farm - A wide range of Perennials, Bulbs, Annuals, Shrubs, Vines, Amaryllis, Gardening Tools, and Gifts For Gardeners as well as Gardening Advice. Wildseed Farms - Wildflower seed mixes, native grasses buy direct from the grower. Wilhite Seed - Online garden seed company with everything from watermelon seed to asparagus and more. William Dam Seeds - Untreated seeds of the highest quality. Canada Only. American Meadows - American Meadows stocks a huge selection of wildflower seeds, flower bulbs, perennials, seed packets, ornamental grasses, ferns, and berries at great prices on-line. Spring and fall flower bulbs, lilies, dahlias, tulips, daffodils, Plus 80+ wildflower species. Detailed gardening tips, planting instructions, wild flower photos, or how to- information and more. Amishland Heirloom Seeds - Organic fresh peas, beans and lima seeds for gardeners, grown from our fertile garden here in Pa. Dutch country - Lancaster County, Pennsylvania. Artistic Gardens - Offers herb, vegetable, and flower seeds, bulbs, and perennial plants. Bounty Beyond Belief - BBB Seed specializes in the distribution of Wildflower Seeds and Heirloom Vegetable Seeds, Native Grasses, Regional Wildflower Seed Mixes, and Special-Use Wildflower Mixes including our line of 4 great Pollinator Mixes. Cherry Gal - Home of CHERRYGAL HEIRLOOM SEEDS and featuring fine artists, artisans, design and specialty houses and gourmet specialties. Dirt Goddess Super Seeds - Seeds are all Non-GMO, most are open-pollinated and many heirlooms. Eden Brothers - Eden Brothers offers over 1000 varieties of the finest seeds and bulbs available anywhere in the world. Choose from Flower Seeds, Flower Bulbs, Vegetable Seeds, Heirloom Seeds, Herb Seeds, and more! Fast, courteous service and free shipping offers year-round. Evergreen Seeds - Oriental vegetables, Asian vegetable seeds, Asian vegetables, Chinese vegetables, Japanese vegetables, rare seeds, Foreign vegetables, exotic vegetables, Chinese cabbage, Asian melons. Filaree Garlic Farm - Largest privately held collection of garlic in North America. Golden Harvest - Large variety of heirloom tomato seeds as well as helpful tips. Hardyplants.com - Garden seeds for perennials and select annuals. 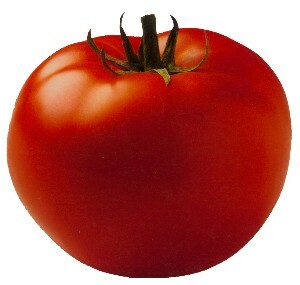 Heirloom Seeds - Over 100 varieties of heirloom tomato seeds to chose from. Heirloom Tomatoes - Hundreds of different heirloom tomatoes -- red, pink, orange, yellow, green, purple, and black tomatoes, big ones, little ones, short-season tomatoes, hot-weather tomatoes, and everything in-between. J. L. Hudson, Seedsman - Offers a wide selection of rare and uncommon seeds of all types, ornamentals, herbs, heirloom and O.P.vegetables, no Patented varieties. Kitchen Garden Seeds - International and heirloom vegetable and culinary herb seeds for the kitchen gardener. Marianna's Heirloom Seeds - Heirloom Tomato Seeds, Live Plants & Pepper Seeds. MIgardener - Huge variety of seeds at .99 per pack. Native Seeds - Specializing in the traditional foods from the American Southwest and northern Mexico, this non-profit organization offers a wide variety of crops developed by the Hopi, Apache, Navajo, and other farmers throughout the region. Natural Gardening Company - The first certified organic nursery in the United States that proudly offers a comprehensive selection of certified organic tomato seeds and many others. Nichols Garden Nursery - Offers vegetable, herb and flower seeds, herbs, tea and berry plants, and garden products. Located in Oregon. Pickett Fence Greenhouse - Online garden nursery and seed supplier located in Iowa. Reimer Seeds - Over 5,000 quality non-GMO vegetable seeds, herb seeds, and flower seeds for the home garden and market growers. Renaissance Farms - Rare varieties of heirloom and open pollinated varieties that are hard to find elsewhere. Renee's Garden - Heirloom and cottage garden flowers, gourmet vegetables and culinary herbs: Seed varieties, descriptions, photos, packet and planting info. Sample Seed Shop - Great Seeds in Inexpensive Sample Size Packets. Seattle Seed Company - Non-GMO Organic and Heirloom Vegetable and Herb Seeds for Home Gardeners and Professional Growers. Seeds From Italy - Seeds from Italy is a seed catalog company offering vegetable seeds, herb seeds, and flower seeds imported from Italy from the seed company Franchi Sementi. Seedman - Extensive Seed Section featuring seeds from around the World. Unusual and hard to find seeds. Siegers Seed Company - Superior selection of tomato and vegetable seed varieties. They have a printed commercial grower catalog as well that can be mailed. Sky Fire Garden Seeds - Specializes in heirloom and open-pollinated vegetables and easy flowers. Soggy Creek Seed Co. - Organic, heirloom & heritage vegetable seeds from Ontario, Canada. South Carolina Crop Improvement Association - Several non-hybrid vegetable varieties from the collection of Dr. David Bradshaw (Retired) Horticulture Dept., Clemson University. Professor, researcher, speaker and avid gardener, Dr. Bradshaw has been collecting heirloom varieties for many years. Stellar Seeds - We grow many of the seeds we sell at our own certified organic farm, and partner with other local, organic growers who supply us with the rest of our seeds. Our focus is on providing you, the grower, with high quality, open-pollinated, GMO-free seed. Swallowtail Garden Seeds - Online Seed Catalog - Flowers, annual flowers, vegetables, biennials and perennials, herbs, flowering vines, and starting your seeds. Tatiana's TOMATObase Seed Catalog - If you are looking for some unusual vegetable varieties, please visit Tatiana's TOMATObase Seed Store. Terra Edibles - (Canada) Hundreds of varieties of heirloom tomatoes, beans and other popular vegetables, as well as herbs, flowers and aromatic sweet peas. The Mushroom Patch - Learn to Grow Mushrooms, Purchase Growing Kits, Equipment, Culture and Spores. TomatoBob's Heirloom Tomatoes - Tomatobob's Heirloom Tomatoes - Your source for over 600 varieties of Heirloom Tomato Seeds, gourmet garlic, heirloom tomato growing tips, and tomato seed. TomatoFest - Heirloom and rare open-pollinated seeds. Victory Seeds - Heirloom and rare open-pollinated seeds. Whatcom Seed Company - Seeds rare, unusual and exotic. Whole Earth Harvest - Mushroom kits mushrooms, exotic greens, berries and much more! Permalink Submitted by brockbidwill on Tue, 04/25/2017 - 04:06. Thank you for sharing all those links. It is really helpful for us. As we are planning to renovate the garden from one of the professional landscape designing company gardeningnorthside.com.au/landscaping-north-shore/ . We are looking forward to have some beautiful flower and shrub in our garden. Hope we find some from your references. Permalink Submitted by Ames25 on Tue, 03/13/2018 - 09:26. Sad to say that there is no way to order a Thompson and Morgan Catalogue from the US or Canada. There is simply no way to list your address in the US. They were my favorite catalog for many, many years! Permalink Submitted by MichaelFSnead on Mon, 10/29/2018 - 01:30.